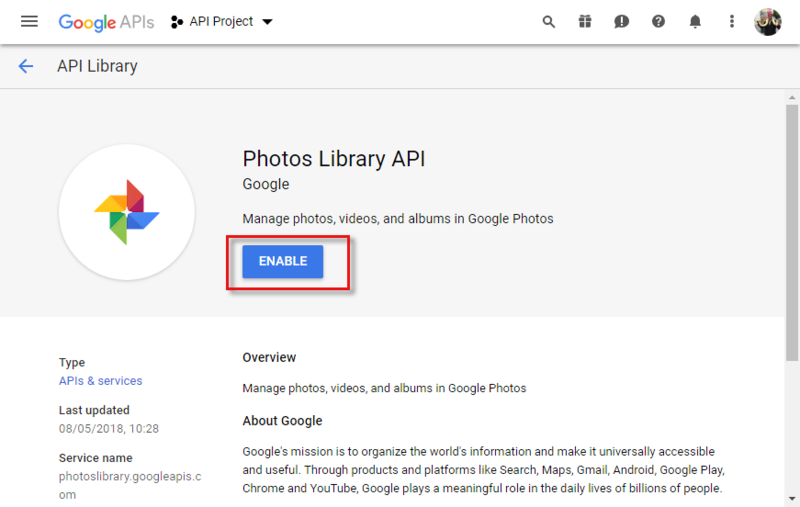 Google has deprecated the Picasa API with effect from January 2019. 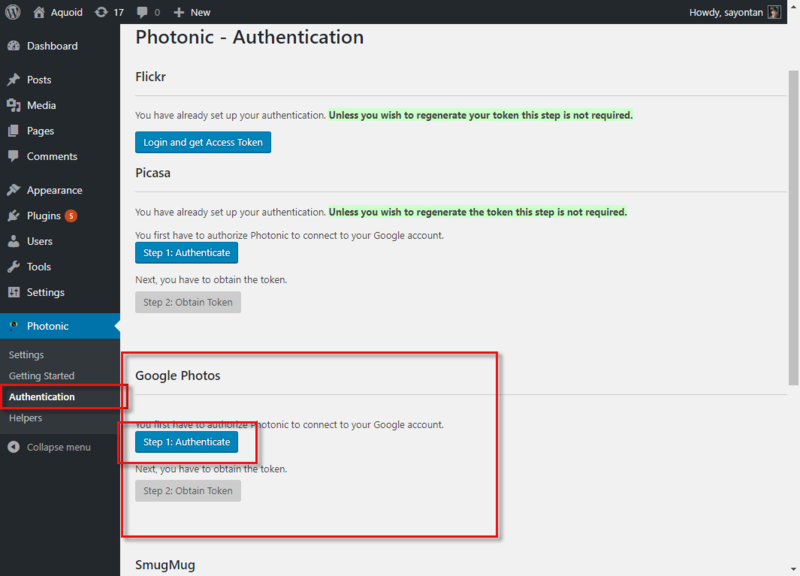 This means that your Photonic galleries using Picasa as a source will no longer work. Please switch them over to Google Photos. You can also control various skinning aspects of how the thumbnails are displayed. In an ideal world this wouldn’t be required. 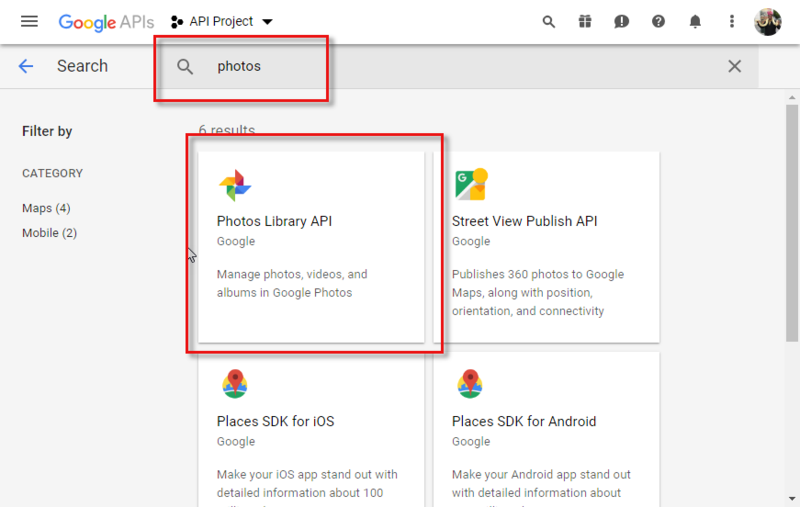 However, Google enforces a 10,000 call cap on Google Photos API calls associated with each API key. Given Photonic’s popularity it is conceivable that more than 500 people use Photonic for Google Photos alone. If each person’s pages get visited around 20 times each day, across all users Photonic will quickly hit the daily cap of 10,000 requests. This makes it impractical for me to bundle my client id in the plugin, as people will start seeing errors on pages once the cap is hit. In most cases you will be able to authenticate as per the documentation. 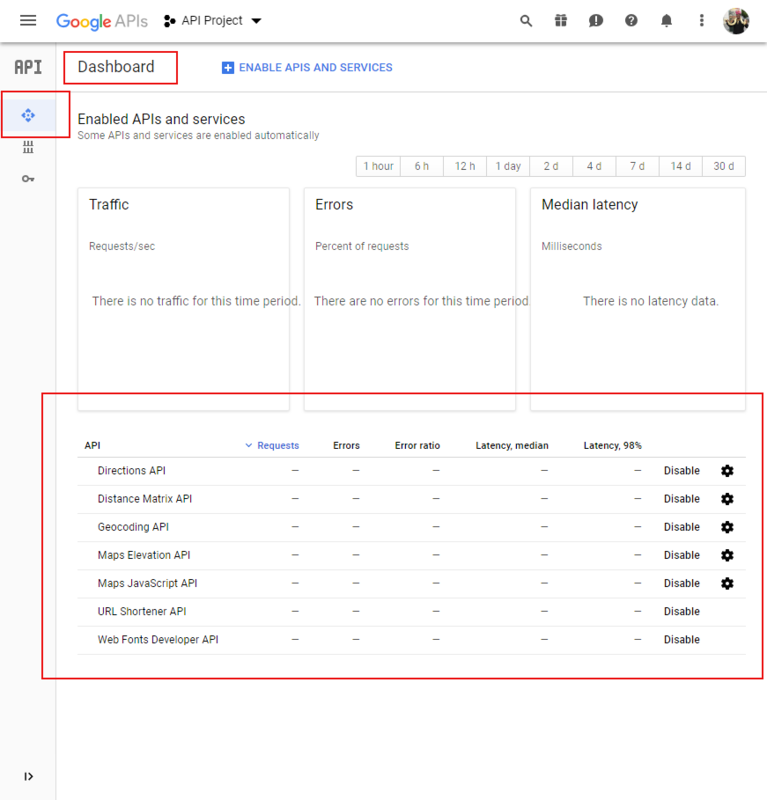 However, there are documented instances of server configurations and plugin conflicts that prevent the authentication bundled with Photonic from working. In such cases try the workaround. Do you have a dropdown for projects at the top? If you already have a listing of projects at the top, proceed to create a client ID. If not, read on. That’s it. Your project will now appear in the project selection dropdown. 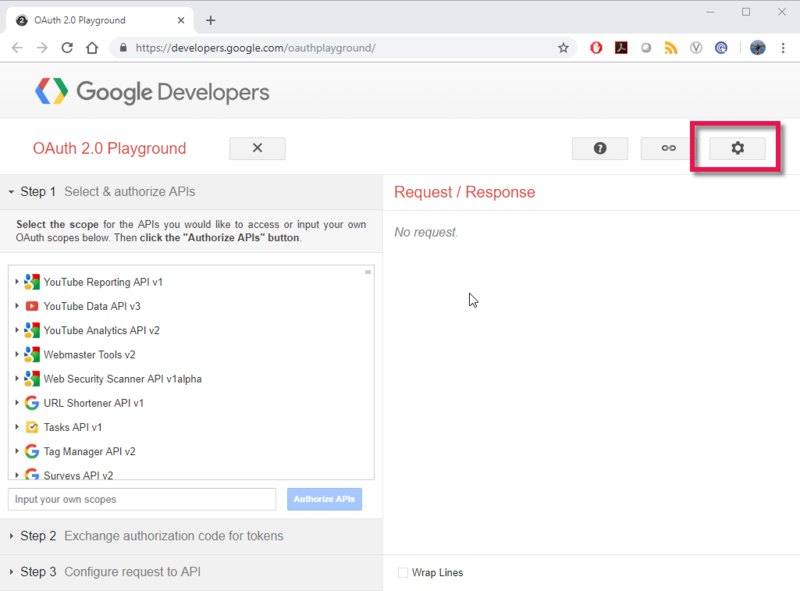 Note that the above screen will show up if you have an API Project already. If you don’t, you can create one as per the previous section. 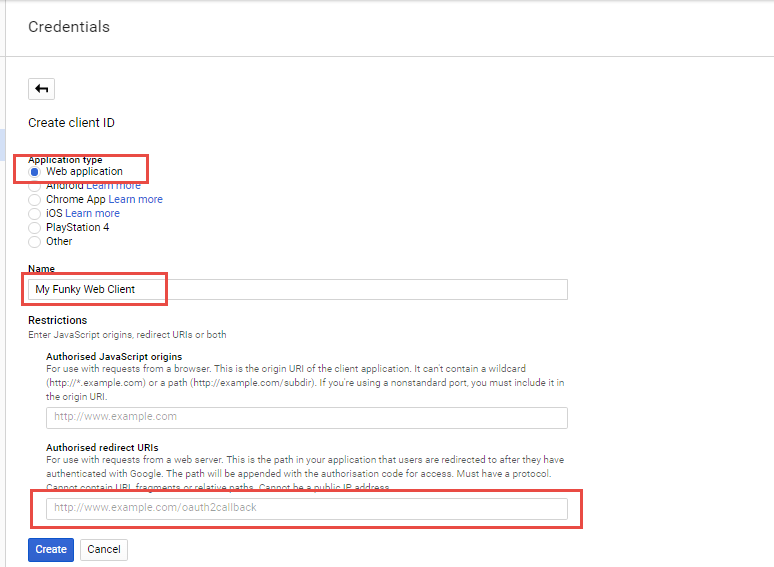 In the resultant screen, pick the option for “Web application”, give it a “Name”, then fill out the “Authorised Redirect URIs”. 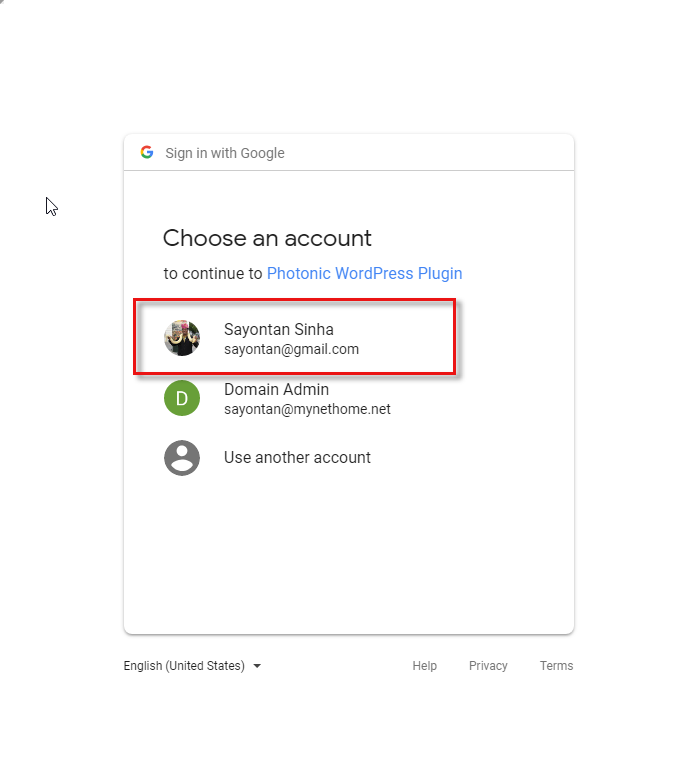 You can get the Redirect URIs for your site from Photonic → Settings → Google Photos → Google Photos Settings → Google Client ID. You first put in one, hit enter, then put in the next and hit enter again. Enter the details in the highlighted sections. 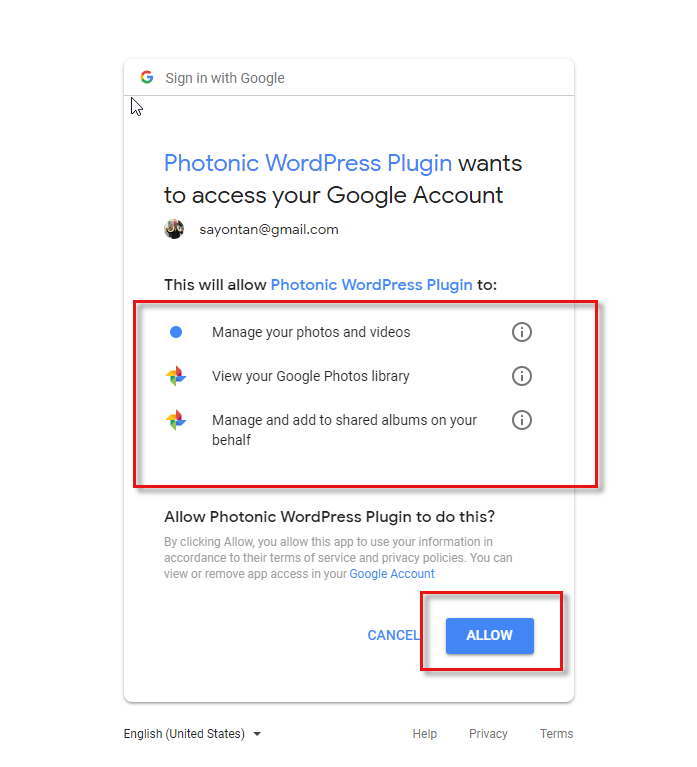 Copy the information from the above to Photonic → Settings → Google Photos → Google Photos Settings → Google Client ID and Photonic → Settings → Google Photos → Google Photos Settings → Google Client Secret. 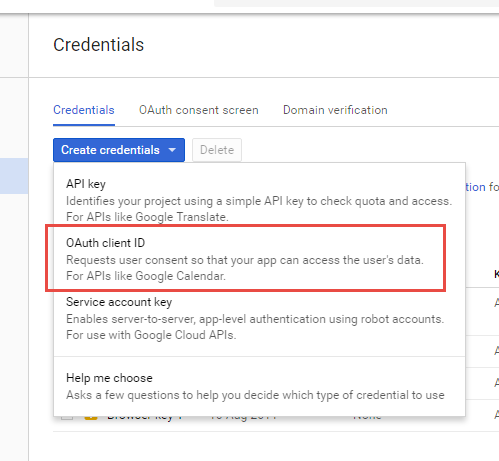 Once you have obtained the Client ID you have to follow these steps to make sure that you are able to use it with Google Photos. 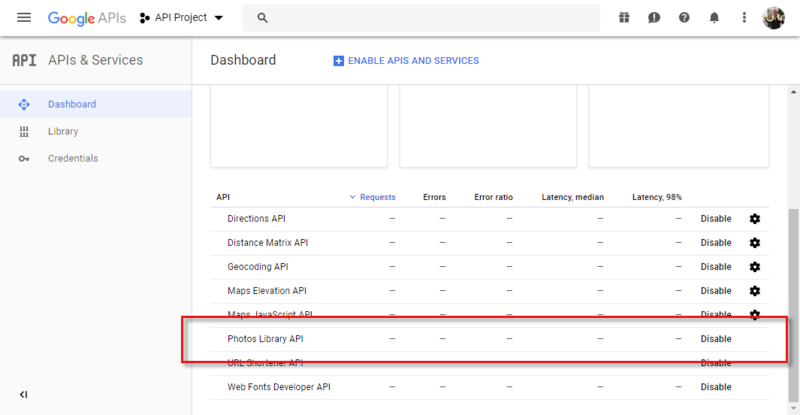 First, make sure that the “Redirect URIs” listed under Photonic → Settings → Google Photos → Google Photos Settings → Google Client ID are present in your API Key settings in Google’s API Console. Instructions are provided above. 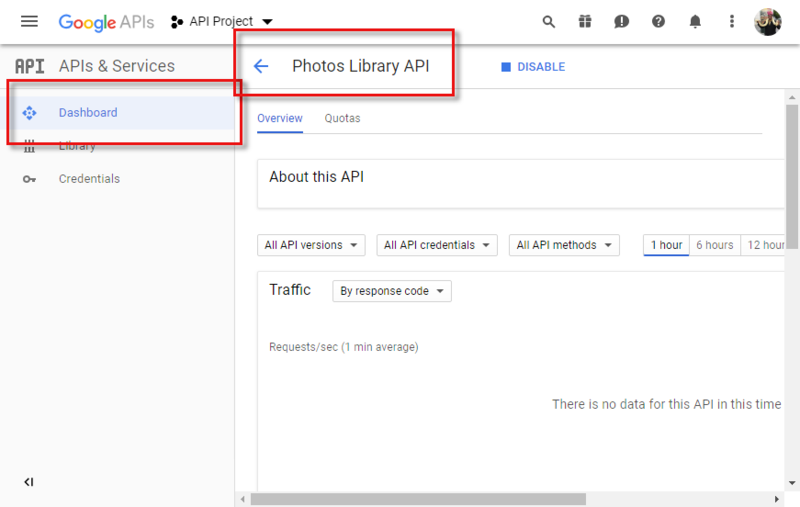 You can click on the “Photos Library API” for the next steps. The API is added. You can go back to the dashboard. 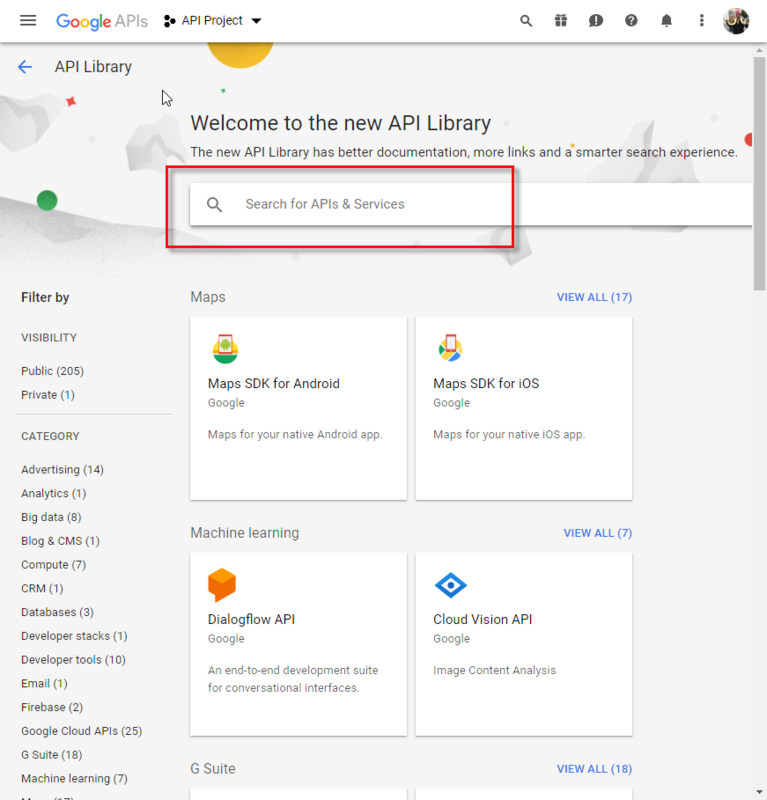 Your dashboard will show the new API now available. Your Client ID is ready for use! 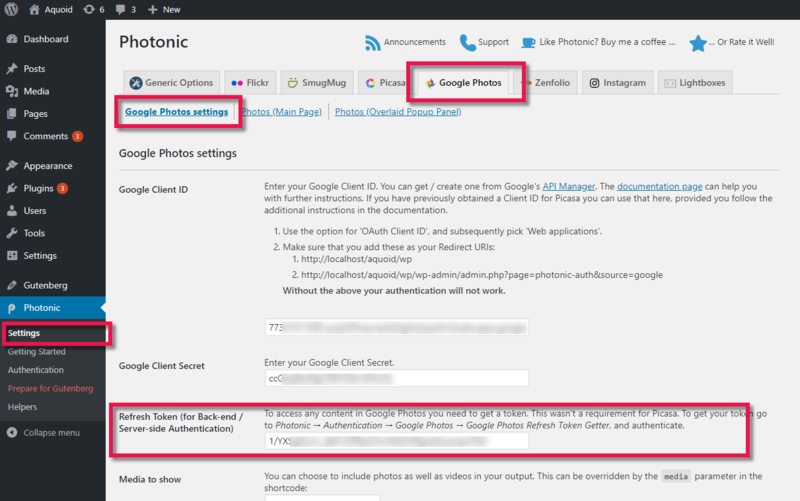 The first step requires you to set the Google Client ID and Google Client Secret at Photonic → Settings → Google Photos → Google Photos Settings. Photonic needs access to your photo library to display information. Click “Allow” to proceed. 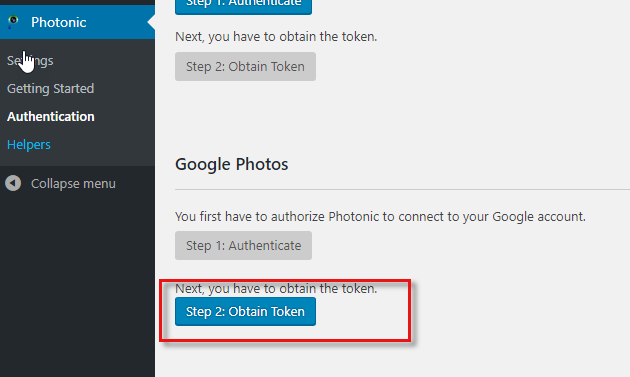 The “Authenticate” step is done, and the “Obtain Token” step is now activated. 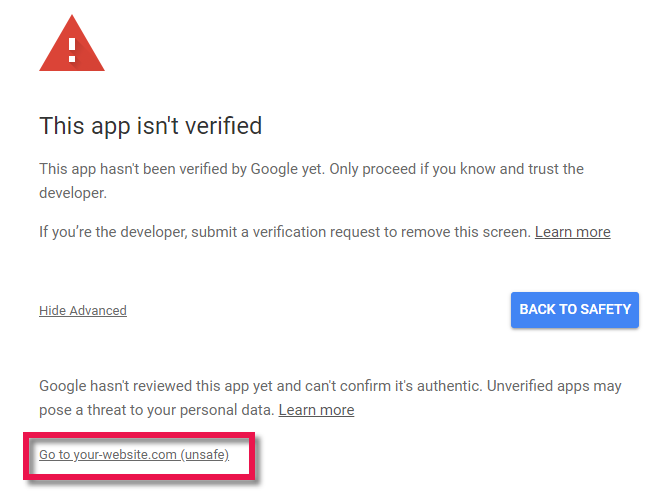 With that your authentication is complete. Your setup is now good for use! The OAuth client was not found. You don’t have permission to access /wp-admin/admin.php on this server. 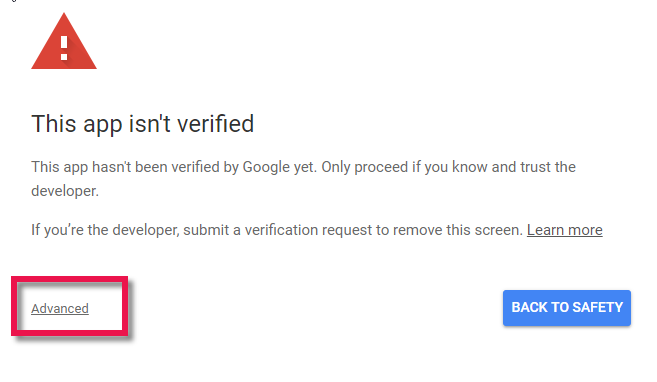 Your request got filtered out due to possible security issues. If you are the owner of the website, you can consider revising the rules of the mod_security module or turning it off from your Web Hosting Control Panel. 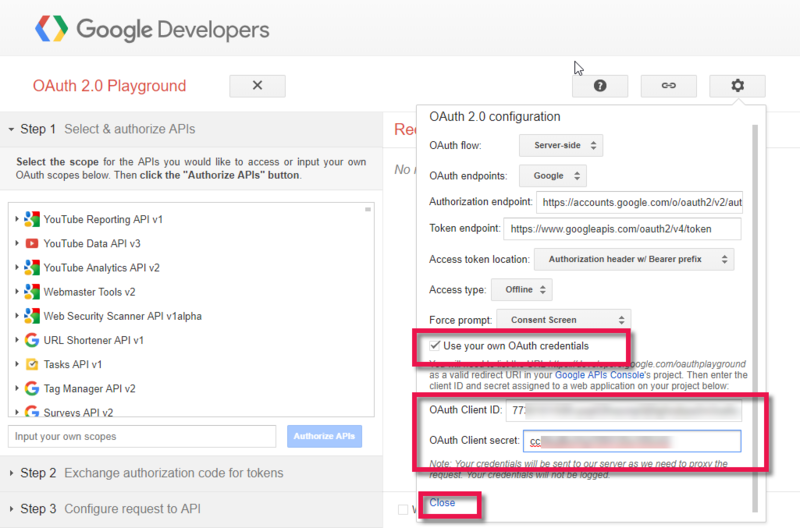 On the left, under the section that says “Select & authorize APIs”, you will see a box that says “Input your own scopes”. 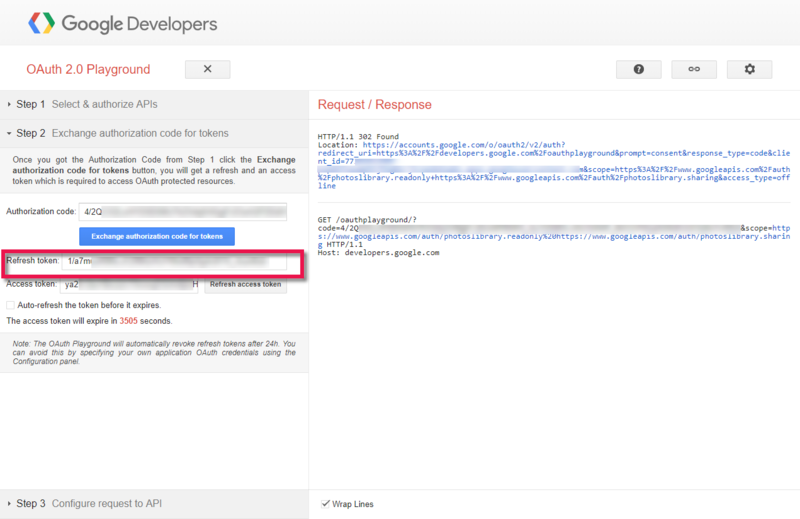 Put in https://www.googleapis.com/auth/photoslibrary.readonly https://www.googleapis.com/auth/photoslibrary.sharing. Note that there are two URLs, separated by a space. 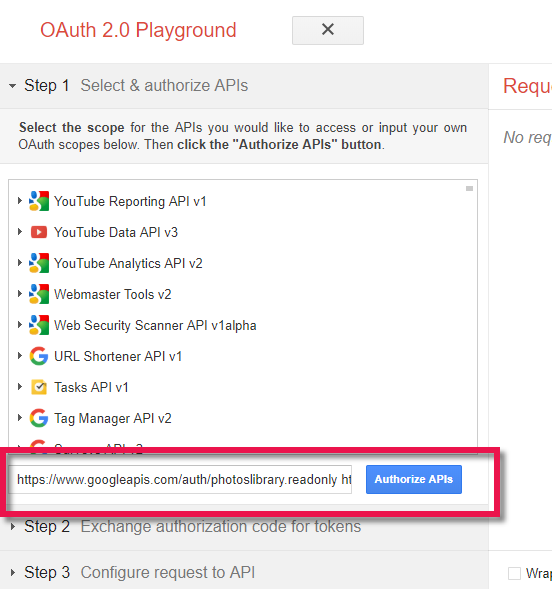 Click “Authorize APIs”. You will be taken to the account selection screen, as you would see in the regular step 3 of the authentication flow. 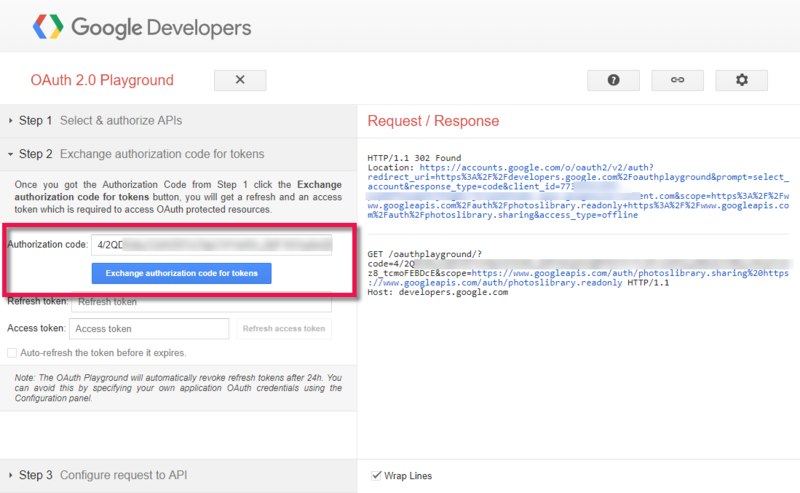 You can ignore any warnings that show up (since you will be authorizing your own API key to access your own pages). Feel free to look at the Photos and Albums pages for examples on usage.